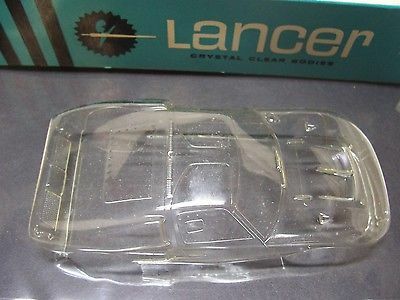 Lancer had very humble beginnings. Lloyd Asbury worked at a local foundry in San Bernardino in the late 50’s by day but his passion was modelling and would build model airplanes on the kitchen table in his spare time. In the early 60’s he would be introduced to slotcars through a good friend who’s parents opened a hobby store in Pomona, CA. Hobbysville sported one of the first in store slot racing tracks and proved very popular. Lloyd was absolutely amazed and was soon roped into producing a body for drag cars as as the hobby store also had a scale drag strip. At the time Lloyd had access to a vacuum former back in San Bernardino that he would use for creating parts for plastic model airplane kits. He had borrowed a model of a Speed Sport that he thought he could pull a body over and produced a body from purple craft plastic to form his first slotcar body. After that Lloyd started producing a variety of slotcar bodies, during this time he was introduced to a number of local slotcar shops who he started to sell his bodies to. This intern led to a meeting with new hobby distributor who saw the potential of Lloyds bodies and quickly worked out a deal to represent Lloyd and to take an open order for his products and Lancer was born. 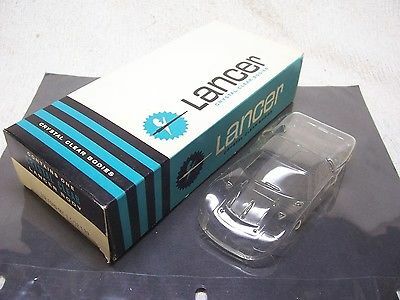 Lancer soon became the standard for industry, having a reputation for producing very fine vacuum formed bodies. Lloyd always produced the original, forming a rough from plaster. Once the master was complete, silicone was poured to create a mold from which resin casts were made to produce the vacuum body. Lloyd was such an artisan that he was able to create things with the vacuum former that was thought impossible previously. 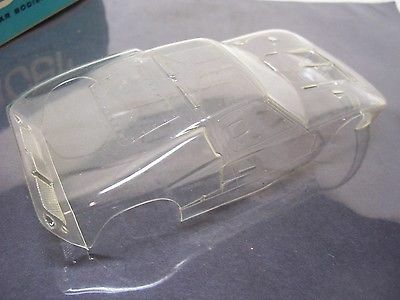 reportedly (2010), Lloyd was still very active producing slotcar bodies at the tender age of 78 (freelance) for a number of manufacturers including AFX.